This is the first time I’ve eaten a properly Michelin star type meal. Another reviewer was bored by it but I wasn’t. 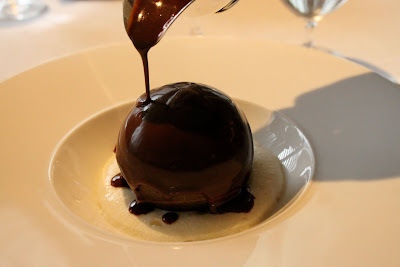 It may be old hat, perfectly cooked modern Franco-British food, gorgeous amuse-bouches, accomplished and smooth service, neither too obsequious, nor too cocky… if so, that’s a hat I’m happy to continue wearing. In our little rival set up to #poshlunchclub, Patrick Carpenter, astrologer Bethea Jenner and my former sous-chef Angie Ma, just in from Hong Kong for a couple of days, met up for a midday lunch, à la francaise. We were going for the set menu: £25 for 3 courses. Unoffended he demonstrated that it was in fact exactly 125ml but the glasses were large. “No problem at all” he replied “you want to know, you ask, that’s fine. I like directness”. “S’Ok” I said “I’ll shove it in my bag”. “You can see I’m not used to posh restaurants can’t you?” I laughed. 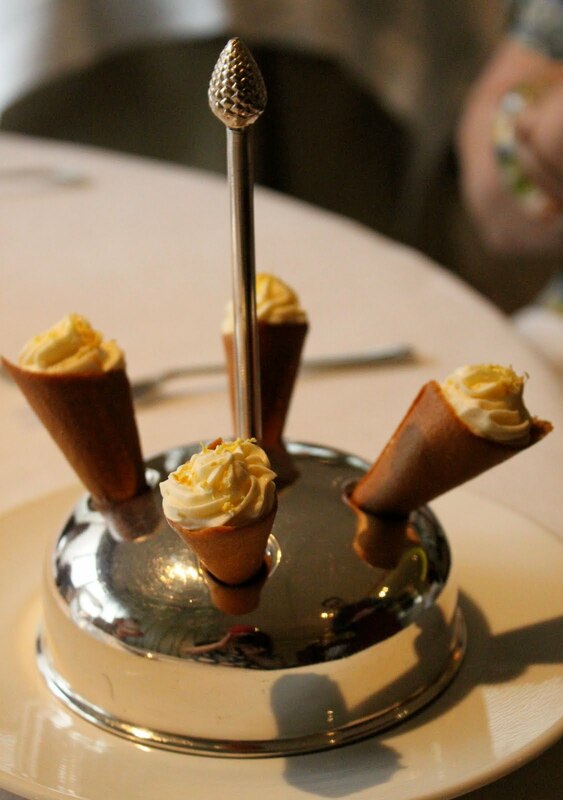 We had two little cornets of popcorn, one flavoured with paprika, the other with lemon and butter. I love savoury popcorn so that got my vote. 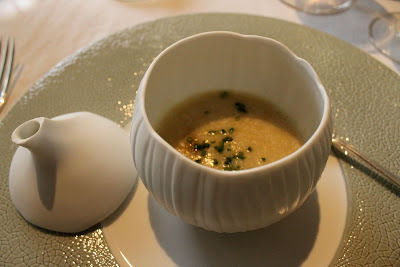 Sitting down, we were first served an amuse-bouche of onion velouté in the most delicate white bone china. Delicious. Brown sourdough and warm white bread were brought, fanned out on a plate. A roundel of butter at room temperature was placed stealthily on the table. He didn’t bat an eyelid. Patrick looked askance at me. “I didn’t know who to ask for the wine. Have I committed a faux pas?” I know Patrick is dead posh about wine, being a bit of an expert. “We are doing the cheap deal and I want to see what their £5.50 house white is like”. It was fine, light and fruity. 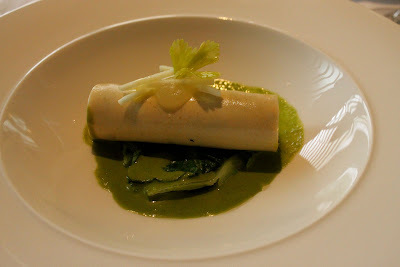 Next up was my choice of crab and salmon cannelloni, fresh and vital. My main course was the trout, crispy skin skyward, with wild mushrooms and sweet corn nestling underneath. This was accompanied by small silver dishes of broccoli with lemon zest and potato slices with rosemary sprigs. Everything was good. Nothing was mediocre. The servers danced around us, whisking off lids, flashing silver and white, unfolding napkins with a theatrical flourish, clothed in starched precise suits. A variety of little jugs appeared in clean masculine hands, offset by glinting cufflinks, pouring sauces around whatever we had ordered: a clear consommé, a fresh green herb sauce, a lemon butter slick. Stoic footmen stood back in the shadows, holding trays, as if we were being protected by the Queen’s Guard. You felt like you were royal. You felt so cossetted, so cared for, that if say, I’d asked for a bit of a neck massage, they probably would have obliged. “Ooh yes“we squealed in unison. The maitre d’, hearing this, came over with the bottle. 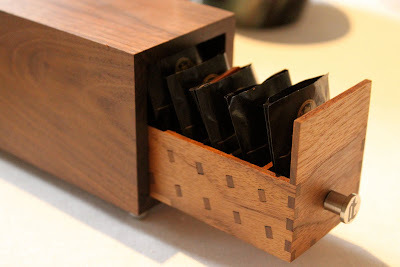 It was empty, somebody ordered it last Friday. “I’m afraid I can’t say” he twinkled. Imagine getting the 25 quid set lunch and ordering a fifty grand bottle of wine with it! Desserts on the set menu were à la carte: just before dessert, we were given a silver dish with four doll size icecream cones, filled with mascarpone and lemon. 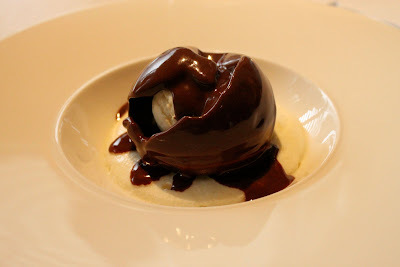 I ordered the chocolate sphere with honeycomb. When it arrived it looked rather forbidding. 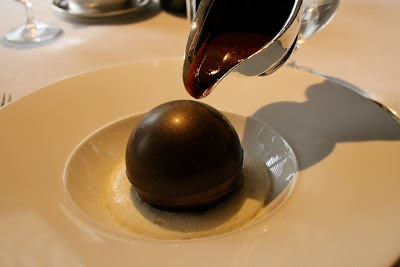 Again appeared another little jug, Jean-Phillipe coughed slightly to gain attention, and eyebrow raised, poured chocolate sauce onto the sphere and…it melted showing the icecream and honeycomb underneath. It was magical! We were all gasping. 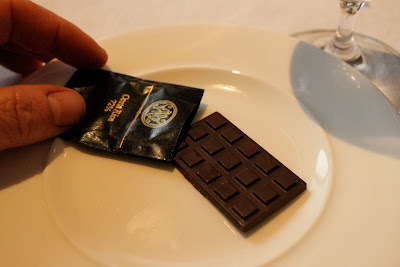 Even as we thought we had finished…chocolates appeared. A hand carved wooden box with tiny sections for mini chocolate bars, a dish of powdery chocolate almonds, and another spectacular effect, were we on a film set? 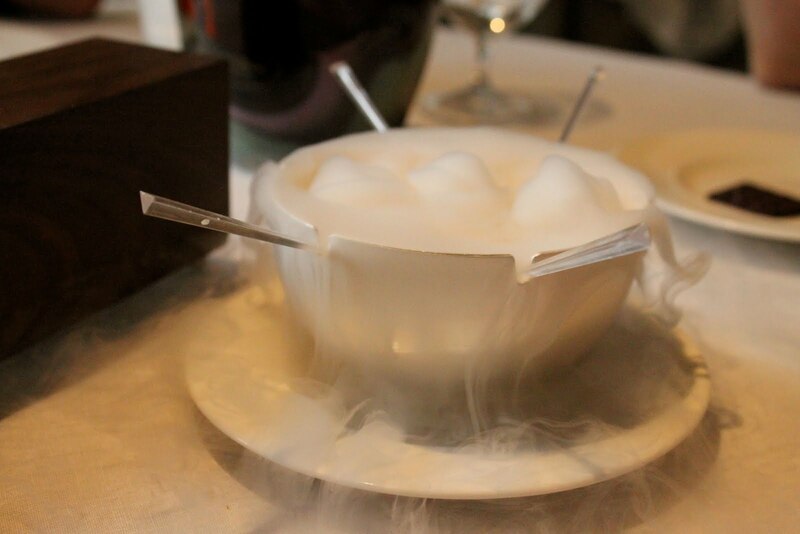 a silver dish flowing with dry ice revealed four white chocolate cold lollies on a stick. At the end we were taken down to meet the chefs, one of them unfeasibly young. Now I know why Gordon Ramsay and his restaurants are feted. Aaaah. Now I wish I hadn't looked. Looks so good. Was thinking on the way back just now how the food is a loss leader in comparison to the wine. But £49,500? Helps their wage bill. Thank you so much for this great review. It's the first photographic review I've found! I've eaten at a couple of "Michelin star type restaurants", all GR's, and this looks fantastic and no doubt it will get it's award soon. I am hoping to go there next month, and wondered what exactly you get for £25, because as yet I am not sure whether to go cheap, or break my wallet and go for the £55 a la carte. However, it seems like you get your money's worth! Very helpful, thanks. Insanely jealous, what a lovely way to spend Monday lunch! Definitely worth the money, by the looks of it. What was the star dish? Hibiscus lunch menu on your horizon, I hope. It's certainly on mine. 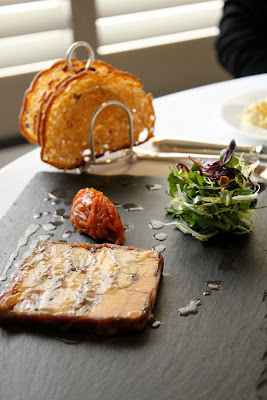 £29.50 for three courses, and the menu is very tempting. Manne, James and Holland: it was so good! Laura; yes lets book it.I'll ask Patrick to book it. let me know your email address. For me mondays and tuesdays are always best really. Why rival the #poshlunchclub? Why not come up with your own idea? Not rivalling…joining in. Just as others have joined in by doing their own supperclubs. I invited Niamh! I credited her idea in the last post on River café. Can only one person go to set lunches? Can only one person invite others? Such a good idea that yes, I'm copying…well done Niamh…. I'm sure she's absolutely fine with this….I'm only teasing by saying 'our little rival set up'…we are not rivals at all. My own motivation actually is to improve and inspire my own cooking by eating at the masters…. Not sure who "Bored" is (so bored of anonymous commenters) but posh lunch club is hardly an innovation and am sure Niamh wouldn't claim it as such. 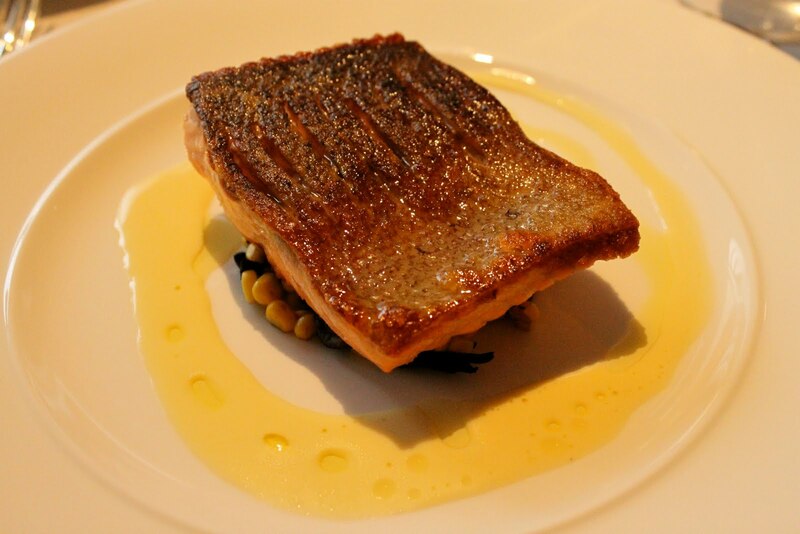 I did similar throughout January and March with my husband, as we took a 3 month sabbatical from work – each week we came into London and, for the most part, chose restaurants that offered a great deal on their weekday set lunch menu – often these are such great bargains! And I've certainly read of other bloggers doing same! MML would love to join Patrick and yourself going forward but am committed to being at client site Mondays, Tuesdays and Wednesdays and that's up in Watford. If you are able to hold any of these on a Thursday (I know you'll be busy with the supperclub on a Friday), do let me know if I can come along. Hi Kavey …thursdays are always a bit hard for me but if we have one then I'll let you know. What a shame you can't make it early week! Really enjoyed reading this and seeing photos of the food. Well done you for asking for their cheapest wine. Why not? I quite frankly would do the same. 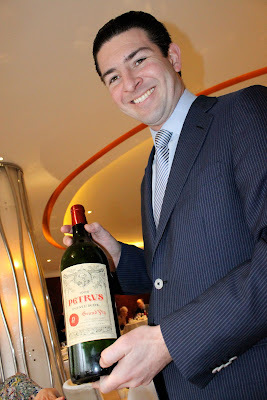 I just have to make a comment re the bottle of Petrus. I know everyone is entitled to spend their money any way they wish. But I'm afaid I do find spending nearly 50k on a bottle of wine incredibly obscene. Oh gosh, that chocolate sphere looked just amazing, the way it melted, I may have to go just for that – the £25 lunch deal sounds such good value. Thanks for your very good review. I completely agree…never get bored with classic Anglo-French. 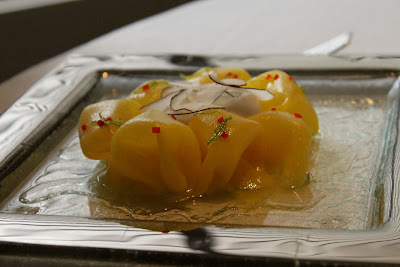 I had the Chef's menu and the food was very well executed. 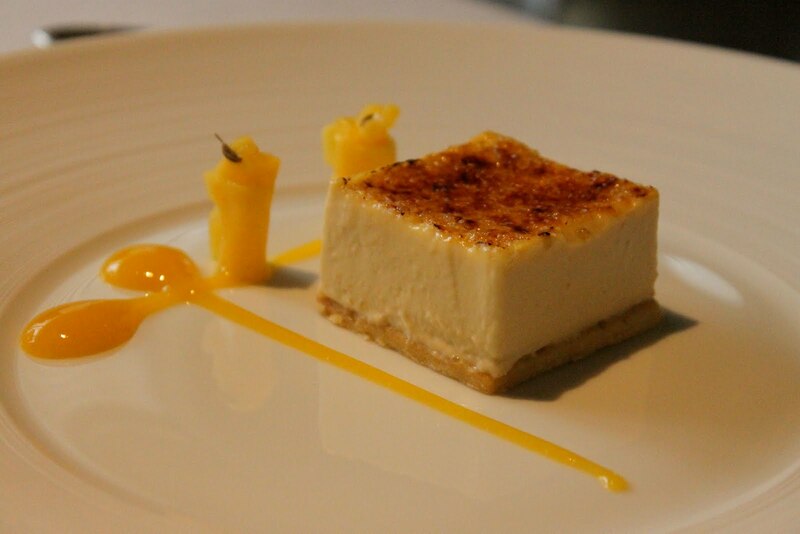 Have you been to Pied A Terre? It wasn't bad too.